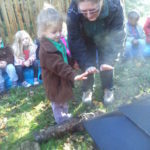 Outdoor learning is essential for young children. 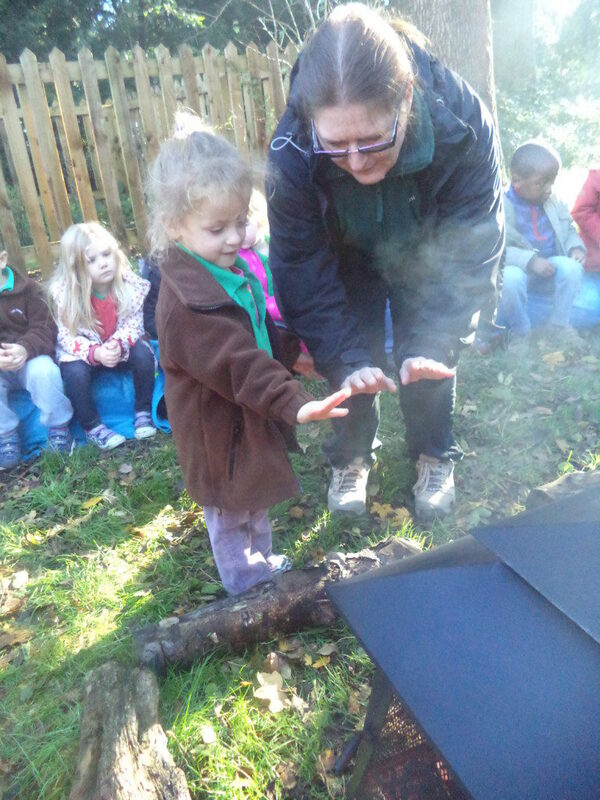 Many children learn far better outdoors than they do indoors. We provide activities to develop all aspects of learning and development outside including reading, writing and mathematical development. 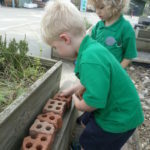 The children are encouraged to explore and investigate in the garden. 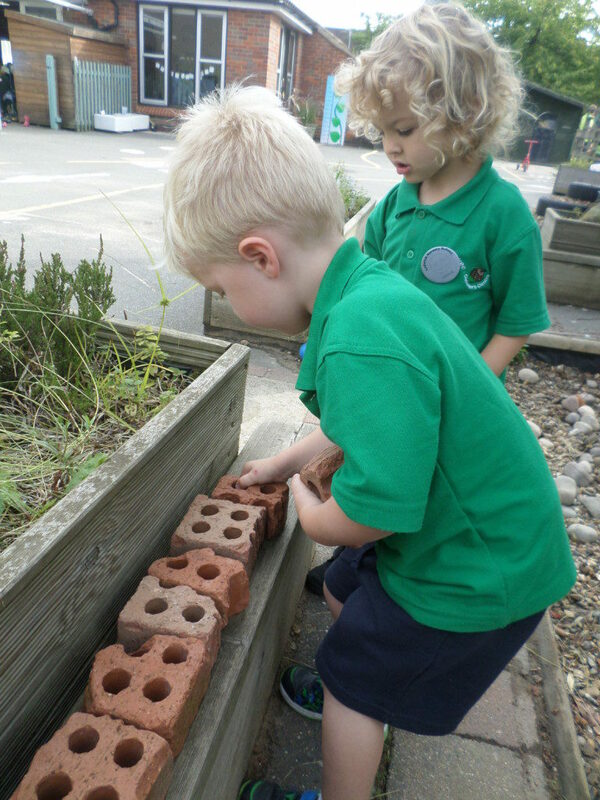 Our lovely garden has a large grassy area and a tarmac space divided by attractive planters and arches to create interesting outdoor learning bays. 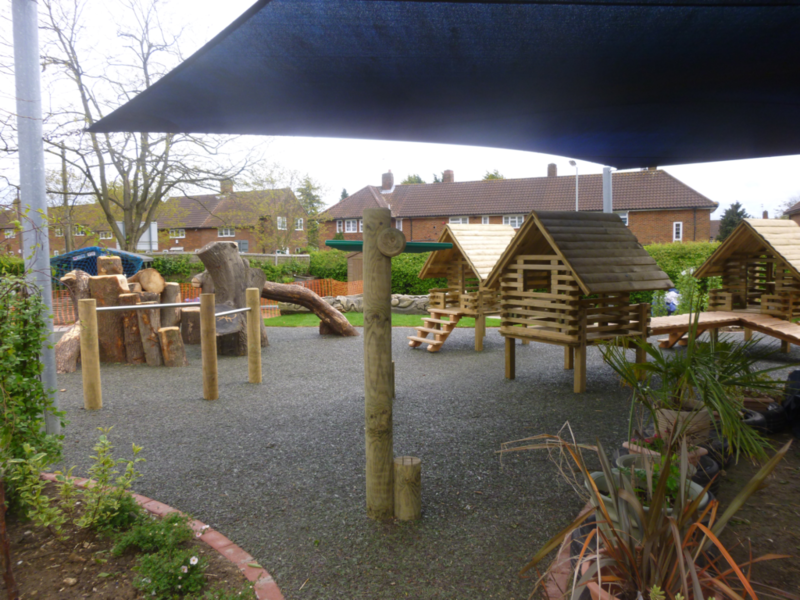 Sails cover our large sandpit and climbing frames to protect children from the sun. We have a vegetable plot, digging area and quiet area which encourages wild life. 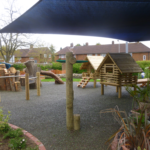 A wooded mound provides an exciting place to learn and it is surrounded by a long cycle track.